Welcome to Discover Africa’s definitive Rwanda holiday guide. From the mountain gorillas in Virungas, to the volcanic peaks and endelss successions of steep cultivated mountains that have led to it being dubbed ‘The Switzerland of Africa’. Sprawling magnificently across the elevated ridge that divides Africa’s two largest drainage systems, the Nile and the Congo … the 1,015km² Nyungwe Forest National Park protects East Africa’s largest tract of montane rainforest in eastern Africa. The park is a remarkably rich centre of biodiversity, with more than 1,050 plant species recorded, among them 200 varieties of orchid, along with 85 mammal, 310 bird, 32 amphibian and 38 reptile species. The main attraction for most visitors is the opportunity to track a habituated group of chimpanzees, bu the park is home to a dozen other primate species, most conspicuously the acrobatic Ruwenzori colobus and striking L’Hoest’s monkey. Nyungwe is also highly alluring to birders, since it supports all but two of the 29 Albertine Rift Endemics that occur on the eastern rift escarpment, along with the dazzling great blue turaco, which is often seen is small flocks flapping clumsily across a road or forest clearing. It is also the site of East Africa’s only suspended canopy walkway. A rewarding goal for those with restricted time, a relict forest patch in a valley in the Gisakura Tea Estate supports a habituated and relatively … easily photographed troop of Ruwenzori colobus along with various other monkeys. A road encircles the forest offering good views into the canopy and the opportunity to tick a good selection of forest fringe and woodland species including black-throated apalis, white-tailed crested flycatcher, Chubb’s cisticola, montane oriole and two species of crimsonwing. Tours of the tea factory are also offered. Developed by USAID, the Uwinka Interpretation Centre and Canopy Walkway is the centrepiece of a network of six colour-coded trails that run through the territory of a habituated troop of 300-plus Ruwenzori colobus. The highlight is a 200m-long, 40m-high suspended metallic canopy walkway that offers superb bird’s-eye over a steep wooded valley run through by a small stream. The most remote Source of the Nile was recently identified to be in Nyungwe National Park, and it can be visited by advance arrangement, a walk that takes up to 60 minutes in either direction. The circular 4.7km/3 hour Ngabwe Trail, which starts near the easterly Kitabi Entrance Gate, passes through a wide variety of vegetation zones en route to a spectacular picnic site at the summit of the hill for which is is named. Several types of monkey are likely to be seen and it can be extended to become an 8-hour walk through Kitabi Tea Plantation. Nyungwe is bisected by the surfaced trunk road between Huye and Rusizi and most people travel by car from Kigali, a 220km drive that takes up to five hours. … It would also be possible to fly from Kigali to Rusizi and drive the 45km from there to the park, but this would need to be arranged in advance. It is easy to reach the forest on public transport from Kigali, Huye or Rusizi, but this will greatly limit which activities you are able to do. Nyungwe is serviced by one world-class luxury lodge, one decent upmarket hotel, and a range of budget guesthouses. Most activities in Nyungwe can be arranged on the spot, but the number of chimpanzee tracking permits is limited to eight per day, so advance booking is highly recommended. Shared between Rwanda and the DR Congo, beautiful Lake Kivu extends for 2,370km² across the floor of the Albertine Rift, and hemmed in by … steep terraced escarpment that rises up to 1.5km above its surface. Ranked among the world’s 20 deepest and 20 most voluminous freshwater bodies, it is lined with pretty fishing villages and a trio of larger ports in the form of Rusizi, Karongi and Rubavu. The latter in particular has long served as a popular weekend retreat for residents of Kigali, and as the most northerly point on the Rwandan lakeshore, it also forms a great place to chill out after tracking gorillas in nearby Volcanoes National Park. The most southerly port on Lake Kivu, Rusizi (formerly Cyangugu) is split into a bland upper town perched 150m above the water and a smaller … but more atmospheric lower town set alongside the Rusizi River as it exits the lake. A short ride on a local amato boat (comprising three dugouts bound together with bamboo poles) leads to the islands of Gihaya and Nkombo, both of which support an abundant birdlife. The closest Kivu port to Kigali, Karongi (formerly Kibuye) sprawls prettily across a row of pine- and eucalyptus-planted hills interwoven with the arms of the lake. It is notable for its bustling Saturday market and the recently-opened Museum of the Environment, which incorporates a collection of stuffed animals and mounted butterflies, and s rooftop garden of well-labelled plants used as traditional medicine. Nearby Napoleon’s Island is shaped like its namesake’s hat and supports a massive colony fruit bats. Situated at an altitude of 2,150m on the escarpment above the lakeshore, the 100m-high Chutes de Ndaba is most impressive in the rainy season and a rough footpath leads to the base from the main road between Karongi road and Rubavu. Rwanda’s newest conservation area, gazetted in 2016, the 35km² Gishwati-Mukura National Park protects two relict patches of the vast tract of montane rainforest that once covered the Rift Valley escarpment south of Nyungwe. The more interesting to tourists is the Gishwati Forest, which supports significant populations of chimpanzee, L’Hoest’s monkey and golden monkey, along with 120 bird species, including Albertine Rift endemics such as Ruwenzori turaco, strange weaver and red-throated alethe. the park is not yet open to tourists but a network of walking trails is planned. The most popular Kivu port with tourists is the leafy town of Rubavu (formerly Gisenyi), which lies just 60km from the gorilla tracking facilities at Volcanoes National Park. Rubavu’s lovely setting is capped by by the distinctive outline of Nyiragongo, the most active of the Virunga volcanoes, which lies on the opposite side of the Congolese border, and often belches out smoke by day and glows ominously at night. Tourist facilities are concentred 6km out of town at Rubona, a scenic lakeside village notable for its pretty beaches and fishing harbour. The scenic Congo-Nile Trail runs roughly parallel to the eastern shore of Lake Kivu between Rubavu and Rusizi along 227km of existing roads and motorable tracks. Divided into ten stages, it takes ten days to complete on foot, five by bicycle and two or three by 4x4, sleeping at various lakeshore villages and towns. RwandAir operates a once-daily flight between Kigali and Kamembe airport outside Rusizi (formerly Cyangugu). Otherwise, main ports on … Lake Kivu are most easily reached by road. Rusizi is about 220km/5 hours southwest of Kigali via Huye and Nyungwe National Park, whilst Karongi is 135km/2 hours west of Kigali and Rubavu is 155km/3 hours northwest via Musanze (the gateway town for gorilla tracking in Volcanoes National Park). A newly surfaced 200km road also connects the three main ports to each other, as does a twice-weekly ferry service. A decent selection of budget and midrange accommodation is available at Rusizi, Karongi or Rubavu. For something more upmarket, you are best heading to Rubavu. Boat trips onlt othe lake can be arranged at all the ports. Protecting the Rwandan sector of the Virunga Mountains, the 160km2 Volcanoes National Park is best-known as the place where Dian Fossey … launched her pioneering study of mountain gorillas in the wild in 1966, and where the Oscar-nominated film Gorillas in the Mist was shot on location in 1988. It is one of Africa’s most scenic national parks, comprising a chain of six extinct and three active volcanoes whose steep forest-swathed slopes are linked by fertile saddles formed by solidified lava flows. Straddling the border with Uganda and the DR Congo, the Virungas provide sanctuary to more than half the world’s mountain gorillas, and the Rwanda component is home to a dozen habituated groups for which a total of 96 tracking permits are issued daily. Other wildlife includes the nimble bamboo-guzzling golden monkey, elusive populations of elephant and buffalo whose spoor often litters the forest trails, and the likes giant forest hog, bushpig, bushbuck, and black-fronted duiker. Around 200 bird species are thought to inhabit the mountains, a list that includes at least 16 Albertine Rift Endemics. Tracking mountain gorillas is far and away the most popular tourist activity, but it is possible to extend a stay with other activities such as golden monkey tracking, hiking to Dian Fossey’s former camp at Karisoke, and hiking to four of the volcanic peaks. Tracking mountain gorillas in the Virungas ranks high on almost every traveller’s bucket list of must-do experiences. And the reality seldom … disappoints. Gorillas are more closely related to humans than any animal other than chimpanzees, and the sheer bulk of these charismatic apes - a silverback might weigh 200kg - is deeply impressive. Meanwhile, the very fact that tourists can routinely approach gorillas to within a few metres pays testament to their remarkable peaceable temperament. True, the hike up can be hard work. You’ll be climbing steep slopes, through tangled vegetation, at an altitude of above 2,500m - and it isn’t called rainforest for nothing. But the reward, a magical hour spent in the company of nature’s archetypal gentle giants, is quite simply one of the world’s most exhilarating and emotionally charged wildlife encounters. An Albertine Rift Endemic whose range is practically confined to the Virunga Mountains, the handsome golden monkey is named for the luxuriant orange-gold patches on its back and flanks. Daily tracking excursions run into the national park to visit a habituated troop of these delightful hyperactive monkeys, which generally frequent patches of bamboo - their primary diet - but also sometimes gather at fruiting trees. A popular half-day round hike leads to the original Karisoke Research Camp, which was founded by the legendary primatologist Dian Fossey in 1967. Set an altitude of around 3,000m on a forested saddle connecting Mount Karisimbi and Mount Bisoke, the camp had to be evacuated several times during the civil war, and it was eventually relocated to the town of Musanze at the mountains’ base. Nevertheless, it is profoundly poignant to visit the living quarters - now in ruins - where Fossey was murdered in 1985, and to pay tribute at her tomb, which stands alongside those of several gorillas killed by poachers during her tenure. Guided hikes can be undertaken to four of the Virunga Peaks set within the parks. Most worthwhile is the day hike up the 3,711m Mount Bisoke, which is topped by a beautiful crater lake enclosed by slopes swathed in atmospheric giant lobelias and hagenia woodland. It’s a steep hike, gaining more than 1,000m from the trailhead to summit, and the descent can be treacherous after rain. For dedicated hikers and summit baggers, the most alluring of the Virunga peaks is Mount Karisimbi, which stands at 4,507m, making it the tallest point in Rwanda and sixth-highest mountain in Africa. Karisimbi also boasts the greatest vegetation diversity of the Virungas, and the ascent rises through clumped bamboo and hagenia forest to the otherworldly Afro-alpine zone. It’s a steep hike even by the standards of the Virungas, and it entails camping overnight in near-freezing conditions. Bordering the national park, Gorilla Guardians (better known by its former name of Iby’Iwacu Cultural Village) is the flagship for a community project that project that provides employment as niche farmers, beekeepers and the like to about 1,000 local villagers. It also offers tourists a fascinating and enjoyable programme that culminates in a traditional Intore drumming and dance routine set in a fantastic wood-and-thatch replica of a traditional Rwandan palace. All activities in Volcanoes National Park start at the park headquarters in the village of Kinigi, which lie 12km north of the … substantial town of Musanze, and 110km from the capital Kigali. Gorilla tracking and other hiking permits are best bought in advance and participants must be at the park headquarters by 7am, or they risk invalidating the permit. There is no accommodation within the national park, but several lodges and hotels can be found along its borders, at Kinigi, and in Musanze. The nearest international airport is in Kigali, so you need to travel by road from there. It is easy to get as far Musanze or Kinigi on public transport, but if you do this, you will need to charter a 4x4 with driver to get you to the trailhead in the morning. Technically it is possible to track gorillas as a day trip from Kigali, but it isn’t recommended as you would need to leave at around 4am to be sure of getting to the park headquarters in time. Founded as recently as 1907, Kigali served as a minor administrative centre in the colonial era, and had a population of fewer than … 6,000 when it was selection as capital of newly-independent Rwanda due to its central location in 1962. Today, this strikingly neat and modern-looking highland city sprawls attractively across a series of hills spanning altitudes of 1,300-1,600m, and hosts a population well in excess of one million. Thanks in part to a longstanding nationwide ban on plastic bags, Kigali is widely regarded to be Africa’s cleanest city (in 2008, it became the first African town to be presented with the UN’s annual Habitat Scroll of Honour award). It is also the main port of entry to Rwanda, being the site if th country’s only international airport, and its central location makes it a useful base for exploration further afield. The profoundly moving Kigali Genocide Memorial stands in Gisozi, the burial site of over 250,000 people killed in a three-month period during Rwanda’s … 1994 genocide. It is managed by the Aegis Trust, UK-based organisation dedicated to assisting widows and orphans of genocide victims, and educating a new generation about the dangers of prejudice. The memorial is home to the Genocide Archive of Rwanda, which includes photographs, official documents and geographical data relating to the genocide. A comprehensive audio tour is available in English and several other languages. Another site associated with the tragic events of 1994, the Remera Heroes Cemetery contains the grave of Agathe Uwilingiyimana, who was less than a year into her term as prime minister when she was assassinated on 7 April of that year, at the outset of the genocide. It also houses the Tomb of the Unknown Soldier, whose anonymous occupant symbolises all those who died in the conflict. Kandt House Museum is set in Kigali’s oldest building, an unassuming example of colonial architecture built in 1907 for the eponymous explorer and German governor. It opened as Rwanda’s natural history museum in 1907, but following the recent relocation of most of its exhibits to the much larger Museum of the Environment in Karongi, it will focus more on the history of Rwanda and the development of Kigali as capital when eventually it reopens. Until that happens, Kandt House is still worth a visit for the great views over the city. The suburban Nyabugogo Market is Kigali’s busiest shopping area, with stalls and vendors selling offering everything from trendy trainers and shoes and the latest electronic equipment to fresh fruit and vegetables, and oven-warm baguettes. It is a fascinating, vibrant place to explore, but don’t take photos without the subject’s permission. The top birdwatching site in the city limits, the artificial Lake Nyarutarama frequently supports a variety of kingfishers, ducks, pelicans, herons and egrets, along with black crake, African jacana and pied and malachite kingfisher, while the surrounding grassland hosts a selection of widow birds, weavers, waxbills and seedeaters. A more far-flung but rewarding goal for birdwatchers, Nyabarongo Bridge spans the eponymous river as it flows through swampy Bugesera District about 15km south of Kigali. The main attraction here is aquatic and papyrus-associated birds, which range from pelicans and moorhens to localised papyrus-dwellers such as papyrus gonolek, white-winged scrub-warbler, papyrus yellow warbler and papyrus canary. Rwanda’s only international airport is situated about 5km from central Kigali, but it will should soon be replaced by the modern Bugesera International Airport … Kigali lies at the hub of the country’s impressive network of tar roads and it is also the hub of a public transport network - mostly comprising minibuses - that connects to all other towns of importance. Good roads and bus services also link it to border crossings with Uganda, Tanzania, Burundi and the DR Congo. The city is well-supplied with tour operators able to arrange trips to the various national parks and other places of interest countrywide. A good range of accommodation is available to suit all budgets and tastes. These include several world-class international chain hotels, a scattering of smaller and more characterful boutique hotels, and a good choice of budget guesthouses and hostels. Kigali also now boasts a diverse restaurant scene. A French and Belgian influence predominates, but there are also plenty of more cosmopolitan options, from Indian and Chinese to Ethiopian and Ugandan. The ideal complement to the primate-oriented wildlife-viewing offered at Volcanoes and Nyungwe National Parks, Akagera is a classic savannah reserve … that has undergone an ambitious recent rehabilitation programme to become a fully-fledged Big Five safari destination. As with Rwanda other national parks, the setting is spectacular: a chain of low grassy mountains that slope down to a tract of undulating most savannah hemmed in by an extensive wetland comprising a dozen lakes, extensive papyrus swamps and a labyrinth of channels fed by the meandering Akagera River. 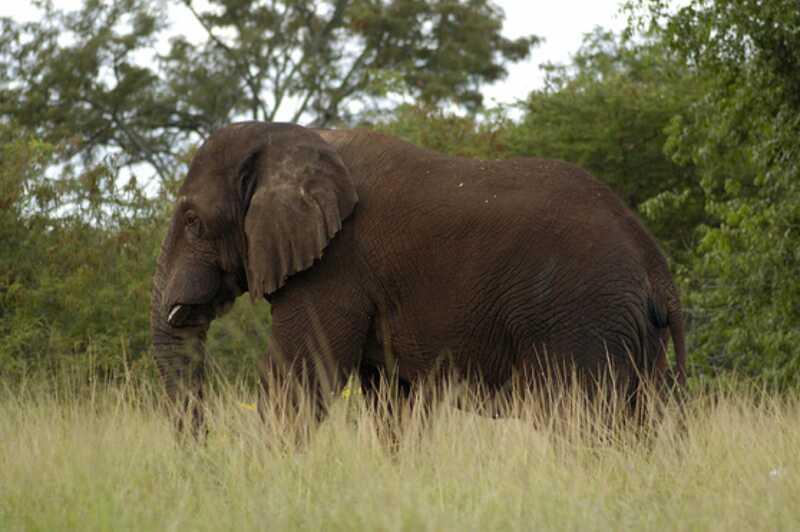 Having suffered heavily from poaching and encroachment since the 1990s, Akagera was placed under the dynamic stewardship of the non-profit African Parks Network in 2010. Since them the boundaries have been fenced, the range of tourist activities has been expanded to include guided walks, boat trips and night drives, and an ongoing programme of reintroductions has resulted in the return of lions and black rhino, meaning that all the Big Five (a lost that also includes buffalo, elephant and leopard) can be seen. Other wildlife is also abundant, and the birdlife is truly fantastic, making Akagera a superb add-on to gorilla tracking in the Virungas. Akagera offers excellent Big Five game viewing. Buffaloes are plentiful and easily seen, elephants are quite common but more difficult to track down … and leopards are observed with increasing frequency on night drives. Lion and black rhino had both been poached to extinction by 2005 but both have since been reintroduced. Seven lions were flown in from South Africa in 2015, followed by another two in 2017, and more than a dozen cubs have now been born in the park May 2017 saw the arrival of 18 black rhinos, one if which has already given birth to a health calf. Other wildlife often seen on game drives includes Maasai giraffe, Burchell’s zebra, warthog, olive baboon, vervet monkey and 11 species of antelope. Most common is the impala, which tends to stick to wooded savannah habitats. The grassy Mutumba Hills and plains to its north are the main stronghold of eland (Africa’s largest antelope), topi, Bohor reedbuck, oribi, roan antelope and the rock-hopping klipspringer. Defassa waterbuck, bushbuck and common duiker are all likely to be seen in the vicinity of the lakes, while the secretive semi-aquatic sitatunga is largely restricted to inaccessible swamp interiors. Organised night drives in an open-topped game-viewing vehicle offering a good chance of spotting several nocturnal hunters, among them leopard, spotted hyena, genet, civet and white-tailed mongoose. Other animals often seen on night drives include bushbaby, elephant-shrew and various species of owl and nightjar. Boat trips on Lake Ihema offer a fabulous introduction to the park’s aquatic fauna. Crocodiles and hippo are all but guaranteed, and an abundance of water birds includes African fish eagle, African darter, open-bill stork, African jacana, malachite kingfisher, and papyrus specialists such as blue-headed coucal, papyrus gonolek and white-winged warbler and. A fantastic seasonal heronry is a breeding site for half a dozen species including the localised rufous-bellied heron and both types of night heron. With an avian checklist comprising 480 species, Akagera offers the most diverse birdwatching in Rwanda, though it is perhaps of less ornithological importance than Nyungwe, since it doesn’t support any Albertine Rift Endemics or other forest birds. Particularly strong on raptors and waterbirds, Akagera also supports a host of colourful and conspicuous savannah and woodland dwellers, among them the gorgeous Ross’s turaco, Meyer’s parrot, double-toothed barbet, lilac-breasted roller and black-headed gonolek. The red-faced barbet, a localised endemic of savannahs between Lake Victoria and the Albertine Rift, is often seen in the car park and gardens of Akagera Game Lodge. For many, the single most alluring bird resident in Akagera is the shoebill, a 1.5m-tall slate-grey papyrus dweller named for the hefty clog-shaped, hook-tipped bill which it claps together like outsized castanets when agitated. The exact status of the shoebill in Akagera is uncertain, but at last one pair inhabits the papyrus beds fringing Lake Birengero, and is often seen through binoculars from the roads along the western shore. Although it is officially part of Tanzania, Zanzibar is in almost all aspects – politics, religion, culture and food – very different … Akagera National Park lies about 110km east of Kigali along a road that is surfaced to within 27km of the entrance gate. Allow three hours for the drive. High clearance and ideally 4x4 are required to drive within the park. Most people visit as an organised road safari out of Kigali. There are no flights and no public transport is available to the entrance gate. Accommodation within the park includes a long-standing hilltop lodge scheduled for major renovations over 2018/9, a lovely exclusive tented camp on Lake Ihema, a non-permanent seasonal tented camp, and several campsites suited to self-sufficient campers. The self-styled ‘intellectual centre’ of Rwanda, Huye (formerly Butare) stands at a breezy altitude of 1,755m to the southwest of Kigali.… During the colonial era, it was the second-largest town in the joint territory of Ruanda-Urundi (after the capital Bujumbura, which lies in modern-day Burundi) and it came as a surprise when it was overlooked as capital of Rwanda when the territories split at the time independence. Now only the fourth-largest town in Rwanda, it contains several colonial-era architectural relicts, and is also an important educational centre, home not only to the country’s oldest university but also to several technical and training schools and colleges. Huye is also the closest large town - and often visited in conjunction with - the fascinating former royal capital of Nyanza, which lies off the Kigali Road about 40km to the north, and now houses an impressive traditional palace and museum. The country’s oldest institution of higher learning, the University of Rwanda was founded on the outskirts of Huye in 1963, though the Art Deco buildings … at its centre originally formed part of a Catholic primary school for colonials. A troop of more than 50 vervet monkeys is more-or-less resident on campus, and the adjacent Ruhande Arboretum is a peaceful refuge whose collection of indigenous and exotic trees harbour plenty of birds. A gift from King Baudouin I of Belgium, the National Ethnographic Museum of Rwanda opened in 1988 and its seven spacious halls document the traditional cultures and history of the country and its people. Key displays deal with the country’s earliest known hunter-gatherer inhabitants, the importance of cattle in Rwanda society, the royal Intore dancers, and traditional customs and beliefs. Huye Cathedral is a huge red-brick edifice built in the late 1930s in memory of Queen Astrid, the 29-year-old Swedish wife of Belgium’s King Leopold III who died in a car accident in 1935. Try to time your visit to catch a mass or rehearsals to hear the 30-strong a capella choir in full voice. Founded outside Huye in 1958, the Benedictine Gihindamuyaga Monastery was designed in the early 1960’s by the Belgian architect Lucien Kroll and selected as Rwanda’s entry in The Phaidon Atlas of 20th-Century World Architecture in 2012. The monastery is home to a jewellery workshop and boutique selling a small selection of hand-crafted silver and gold items. In 1899, Nyanza Hill was selected by the recently enthroned Mwami Musinga Yuhi V as the site of the country’s first permanent royal capital, a role it retained throughout his reign, then that of his son and successor Mwami Rudahigwa Mutara III, until the traditional monarchy was abolished in 1961. Today it boasts two sites of great cultural and historic interest. The Rukari Museum comprises a Western-style palace that was built for Mwami Rudahigwa Mutara III in 1932 and now houses an excellent selection of exhibits chart the history of Rwanda from the 5th century onwards. Alongside it is a fabulous reconstruction of a traditional domed palace, built with poles and layered thatch, and furnished in period style. About 1km away, the Rwesero National Art Gallery, set in a house constructed for Mutara III Rudahigwa over 1957–59, hosts a fascinating collection of traditional and contemporary Rwandan artworks dating from the 1950s onwards. A good 130km surfaced road connects Kigali to Huye; private vehicles should get through in under three hours and there is also plenty of public transport. … Nyanza lies 2km west of the main road between Kigali and Huye, and can be reached by turning off at Kubijega junction, around two hours’ drive from Kigali and just 45 minutes from Huye. There are plenty of midrange and budget hotels in Huye, but nothing more exclusive is available. For this reason, a lot of people explore the area as a day trip from Kigali, or en route to Nyungwe National Park. This journey shows you two of the highlights of the natural world on the African continent. You’ll be spellbound by an hour or two with the mountain gorillas of Volcanoes National Park in Rwanda, then you’ll experience the Great Migration in both Tanzania’s Serengeti National Park and Kenya’s Masai Mara Reserve, with possible sightings of animals crossing the Mara River. This exclusive African honeymoon through East and Southern Africa is the perfect way to celebrate the start of your new journey together. Recently made it onto Forbes rich list and decided to go into wedlock? This exclusive, luxurious honeymoon journey through East and Southern Africa will definitely get you off to the right start. Make your way through Cape Town and its iconic Table Mountain. Spend some time in Botswana’s wildlife-rich Okavango, where you’ll get to see the Big Five. Head off into Tanzania’s Serengeti and go gorilla trekking in Rwanda. If it’s wildlife, luxury and exclusivity you crave, then that’s exactly what you’ll get. This journey isn’t for everyone though, if you’re looking for something similar at a lower price, have a look at our Best of Africa safari. While we understand that an average honeymoon has an average cost of £200 per day, the experiences and memories you’ll collect on this exclusive African honeymoon far outweigh the dent in your bank account. Characterised by rolling green hills terraced with cultivation, Eastern and Central Rwanda is not so scenically spectacular as the western part of the country and it supports far less endemic wildlife than the Albertine Rift. That said, the region does incorporate the national capital Kigali, the starting point of most extended explorations of Rwanda, as well as the important cultural sites of Nyanza and Huye. Fort many, the biggest drawcard of eastern Rwanda is the country’s only Big Five safari destination, the beautiful and increasingly well-stocked Akagera National Park. The capital Kigali is a modern and well-tended city that sprawls across a series of hills and valley in the centre of Rwanda. It is the sole air gateway to this small country, and lies within a half-day drive of most sites of interest including Volcanoes, Nyungwe and Akagera national parks. Its outstanding point of interest for visitors is the Kigali Genocide Memorial, which commemorates the victims of the tragic events of 1994. The Rwandan counterpart to the renowned safari reserves of Kenya and Tanzania, Akagera National Park offers the opportunity to see all the Big Five - lion, leopard, elephant, buffalo and black rhino - in a beautiful hilly landscape that slopes down an extensive network of wetlands fed by the Akagera River. In addition to offering great all-round game viewing, Akagera is a wonderful destination for birders, with a checklist of 480 species that includes the likes of shoebill, rufous-belled heron, Ross’s turaco, red-faced barbet and papyrus gonolek. Situated to the south of Akagera National Park, Rusumo Falls is a voluminous rush of white water formed by the Akagera River as it surges below the bridge between the Rwandan and Tanzanian border posts. In 1994, the bridge at Rusumo was the funnel through which an estimated 500,000 Rwandans – half of them within one 24-hour period – fled from their home country to refugee camps in northwest Tanzania. The small town of Nyakarambi lies in a part of Rwanda famed for its distinctively earthy geometric Imigongo (cow-dung) ‘paintings’, which are mostly used to decorate the interiors of houses. Most of the geometric Imigongo paintings and pottery you see in Kigali originate from the Cooperative Kakira, about 2km south of Nyakarambi, but it’s more fun, and cheaper, to purchase at source. Lake Nyagafunzo is one of the few substantial expanses of open water in the Rugezi Wetlands, a swampy 80km² headwater of the Nile listed as both a Ramsar Wetland and an Important Bird Area. Boasting a scenic location offering distant views to Mount Muhabura, the lake is best explored by boat, with the main draw for dedicated birders being the rather nondescript Grauer’s rush warbler, a very localised Albertine Rift Endemic. For more generalist visitors, highlights might include grey crowned crane, great white pelican, African spoonbill and breeding colonies of several heron species. Roughly 60km long but nowhere more than 5km wide, Lake Muhazi is a classic ‘flooded valley’ whose serpentine shape is broken by numerous tendrils along former tributaries. Lined with a few low-key resorts, it supports a rewarding birdlife and an unusually dense population of spotted-necked otter. The colonial-era capital of what is now Rwanda, Huye (formerly Butare) is an attractive highland town noted as the site if the country’s oldest university and the National Ethnographic Museum. Capital of the Rwandan monarchy from 1899 until its abolition in 1961, Nyanza Hill is now the site of an informative museum centred on an impressive reconstruction of a traditional thatched domed palace. Kigali is the site of the country’s only international airport, and it is linked to most other attractions in central and eastern Rwanda by good surfaced roads. Public transport runs from Kigali to Huye, Nyanza and Rusumo, but not to Akagera National Park, which is best visited on an organised safari. Kigali has an excellent selection of accommodation, including several five-star hotels. There is also a good tented camp and lodge in Akagera National Park. Huye has a few adequate midrange hotels. Accommodation elsewhere in the region is more budget oriented. A notable feature of its diverse avifauna is the presence of 27 of the 37 forest and swamp-associated species regarded to be endemic to the the eastern and western escarpments of the Albertine Rift, Many of these species can only otherwise be seen in logistically inaccessible parts if the DR Congo and one or two sites in Uganda. Outside of the Congo, Rwanda’s Nyungwe National Park supports the world’s greatest diversity of Albertine Rift Endemics, a list that includes such stunners as handsome francolin, Ruwenzori turaco, red-faced woodland warbler, collared apalis, mountain masked apalis, regal sunbird, blue-headed sunbird, purple-breasted sunbird, dusky crimsonwing and strange weaver. With around 310 species recorded, Nyungwe is also strong when it comes to more widespread forest species (there’s no better place, for instance, to see the astonishing great blue turaco) and it is well serviced by birding trails and knowledgeable local guides. Rwanda offers some superb opportunities for wildlife and scenic opportunities. The mountain gorillas of Volcanoes National Park are wonderful laidback photographic subject and the speeds attainable by modern cameras mean you would have to be very unlucky not to come back with some awesome pictures, even in gloomy conditions. The more restless chimpanzees of Nyungwe National Park tend to be less cooperative photographic subjects, but the same national park’s monkeys are often very easy to photograph in situ. Finally, a safari in Akagera National Park offers the opportunity to photograph the so-called Big Five (lion, leopard, black rhino, elephant and buffalo) along with the likes of giraffe, zebra, hippo and various antelope and birds. March marks the start of the main rainy season and most parts of the country receive rainfall in excess of 100mm precipitation. March is not an optimum month for tracking gorillas and chimpanzees, since conditions tend to be wet underfoot and there are frequent showers. That said, plenty of people do track gorillas in March and you’ve a better chance of a last-minute permit. Climbing the volcanic peaks of the Virungas will be tough at this time of year. For birdwatchers, March and April are probably the best months to visit Rwanda, partly because resident birds are boosted by a large number of Palaearctic migrants, but also because it is the main breeding season, and several species are at their most colourful and conspicuous. April is the middle of the main rainy season and the wettest month in many parts of the country. June marks the start of the long dry season and monthly rainfall in most parts of the country is relatively low (below 50mm). June is an excellent month for tracking gorillas and chimpanzees, and for other hikes in Volcanoes and Nyungwe National Parks, since conditions tend to be dry underfoot and the odds of being drenched by a shower are as low as it gets in a rainforest. A highlight of the calendar at Volcanoes National Park is the annual Kwita Izina (Gorilla Naming) Ceremony held every June, when all baby gorillas born over the previous 12 months are given names. Highlands and medium-altitude regions are warm to hot by day, and comfortably cool by night. August is a dry month but the short rains may start towards the end of the month. October falls within the short rainy season and monthly rainfall in most parts of the country is high (100mm or higher). October is not an optimum month for tracking gorillas and chimpanzees, since conditions tend to be quite wet underfoot and there are frequent showers. That said, plenty of people do track gorillas in October and you’ve a better chance of a last-minute permit. Climbing the volcanic peaks of the Virungas will be tough at this time of year. November is the peak of the short rainy season and monthly rainfall in most parts of the country is high (100mm or higher). November is not an optimum month for tracking gorillas and chimpanzees, since conditions tend to be quite wet underfoot and there are frequent showers. That said, plenty of people do track gorillas in November and you’ve a better chance of a last-minute permit. Climbing the volcanic peaks of the Virungas will be tough at this time of year. Rwanda is well suited to active couples whose idea of shared quality time entails forest hikes, game drives, engaging in cultural activities, and so on. It is not particularly suited to quiet romantic beach getaways, though lovely Lake Kivu provides a fair substitute for a bona fide beach resort. The top highlight for couples - as with most other travellers to Rwanda - is tracking gorillas in Volcanoes National Park. Other highlights include chimpanzee tracking in Nyungwe National Park and safari activities in Akagera. For very active travellers, the hikes up Mount Bisoke and the other Virunga Peaks in Volcanoes National Park are fantastic, but hard work. The beaches of Lake Kivu offer couples the opportunity to unwind for a few days after all the hiking and safari activity. Most couples are happy to spend plenty of time alone together, but it can be fun to break things up with the odd night at a more sociable venue such as a backpacker hostel or intimate private lodge. Rwanda is well suited to solo travel. Independent travellers using public transport will find that locals are very friendly and keen to engage in conversation with single foreigners. On more upmarket visits, all the national parks are serviced by the sort of small exclusive tented camps and lodges that encourage interaction between guests and offers a hand-on personalised service. The top highlight for solo travellers is tracking gorillas in Volcanoes National Park. This is undertaken in groups of up to eight people, none of whom might necessarily know each other in advance, so it is straightforward for solo travellers to participate. Other highlights include chimpanzee tracking in Nyungwe National Park and safari activities in Akagera. Sociable solo travellers might think about joining a group tours, Failing that, try to stay at lodges and camps that offer all-inclusive packages with group activities and encourage guests to eat together at one large table. For younger or more adventurous travellers, there are backpacker hostel in Kigali and outside Musanze (near Volcanoes National Park) with communal areas where it is easy to meet other travellers, and to put together groups to go on activities together. There are no risks specific to travelling in Rwanda, but single women should apply the usual commonsense precautions - i.e. don’t walk alone after dark - when exploring cities and larger towns such as Kigali. Rwanda is, quite simply, the best place in Africa to engage in what is arguably the world’s single most thrilling wildlife encounter: tracking mountain gorillas through the steep bamboo- and forest-swathed slopes of the Virunga Mountains. No two encounters are ever the same, but whether it’s a 200kg silverback chilling out on the forest trail, a curious mother staring questioningly into your eyes, or a youngster clumsily attempting to climb a liana, coming face to face with these most gentle of giants is invariably an awesome experience. Mountain gorillas are the raison d’être for most tourist visits to Rwanda. But this small central African country has far more to offer outdoor enthusiasts. Scenically, there is the mountain-ringed inland sea that is Lake Kivu, the perfect volcanic cones of the Virungas rising to 4,000-plus metres above it, and the endless succession of steep cultivated mountains that have led to it being dubbed ‘Land of a Thousand Hills’ and ‘The Switzerland of Africa’. As for wildlife, the variety is startling. The Virunga Mountains are also home to the delightful golden monkey, while Nyungwe National Park - protecting an astonishing 1,000km2 of near-pristine montane rainforest - supports a full 13 primate species, ranging from a habituated community of chimpanzees to the lovely L’Hoest’s and Rwenzori colobus monkeys. Rwanda’s national checklist of 700-plus bird species, in an area smaller than that of its former coloniser Belgium, includes the 27 super-localised Albertine Rift Endemics protected in Nyungwe, along with such iconic species as shoebill, Ross’s turaco, great blue turaco and papyrus gonolek. And when it comes to more conventional safaris, the Big Five are all now protected - and quite easily seen - in the hilly savannah of what must surely be Africa’s most rapidly resurgent protected area: Akagera National Park. Rwanda is a small country, it lacks for a bona fide beach destination, and its rather limited circuit of major attractions can easily be explored fully over the course of a standard-length holiday. In other words, it doesn’t attract a great deal of repeat visitors, the main exception (apart from business travellers, or those with family connections) being primate junkies who return to see the gorillas again, and possible again. Almost all visitors from abroad fly. All flights currently land at Kibale International Airport, which lies less than 10km from central Kigali. Taxis are available to/from the city centre. Work on the new Bugesera International Airport, 40km south of the capital, commenced in August 2017. The national airline RwandAir operates intercontinental flights connecting Kigali to Brussels, London Gatwick, Mumbai, Dubai and Guangzhou. A rapidly expanding list of African destinations includes Johannesburg (South Africa), Nairobi and Mombasa (Kenya), Dar es Salaam, Mwanza and Kilimanjaro (Tanzania), Addis Ababa (Ethiopia), Entebbe (Uganda), Bujumbura (Burundi), Juba (South Sudan), Accra (Ghana), Lusaka (Zambia), Harare (Zimbabwe), Brazzaville (Republic of the Congo), Libreville (Gabon) and Lagos (Nigeria). Other operators that fly directly to Kigali include Brussels Airlines, Ethiopian Airways, Kenya Airways, KLM, South African Airways, Turkish Airlines and Qatar. It is possible to enter Rwanda overland from the neighbouring countries of Uganda, Tanzania, Burundi and the DR Congo, but you’d only be likely to do so as part of an extended overland trip through Africa or if you were doing a multi-country safari. Most people explore Rwanda on a bespoke safari or tour arranged through any of innumerable international and local operators. Trunk roads are surfaced and well maintained, so self-drive is an option, provided you have a valid international license and are prepared to adjust to relatively reckless local road mores. Driving is on the right side of the road, as in the USA and mainland Europe, which may require some adjustment for drivers accustomed to driving on the left. Most major attractions, including Nyungwe, Volcanoes National Park and the various ports on Lake Kivu, are more or less accessible on public transport, which generally consists of minibuses that leave when full and tend to quite recklessly driven. An exception is Akagera National Park, which isn’t accessible on public transport. Unusually for Africa, Rwanda is essentially a mono-linguistic state, with the first language of practically all citizens being Kinyarwanda. In addition, most Rwandans speak a little of at least one international language. Historically, French was the most widely recognised European language, thanks to almost 50 years of Belgian colonisation. These days, however, English probably has the greater presence, partly because so many long-term exiles who returned after the genocide were educated in Uganda, Kenya or Tanzania, partly because it replaced French as the international language of education in 2009. In rural areas, KiSwahili, a coastal Bantu language that has come to serve as the lingua franca of East Africa, is still more widely understood than either English or French. From a visitor’s perspective, it is pretty easy to get around in either English or French, both of which are recognised as an official language alongside Kinyarwanda, but English is undoubtedly the primary language of the tourist industry. From a tourist’s perspective, Rwanda ranks as one of the most crime-free countries in Africa. Kigali is a very safe city, even at night, provided you follow the same kind of commonsense rules - avoid walking alone in unlit dark alleys, or overt displays of wealth - you would in any large city. Ideally you should leave any expensive jewellery at home, and avoid leaving valuables such as cash, mobile phones and electronic devices lying around openly in your hotel room. Padlocking your luggage will not prevent a determined thief from slashing it open, but it is a strong deterrent to casual light fingers. It’s a good idea to carry a scan and/or electronic version of all important travel documents, in case they are lost or stolen. You might also want to email all such backups to a webmail address you can access anywhere on the road. The Rwandan franc (RWF) trades against most international currencies at a favourable rate. Major international credit/debit cards (for instance Master and Visa) can be used to draw local currency at 24-hour ATMs in most cities and towns, but not in the national parks. Many vendors do not accept cards, however, so it’s a good idea to carry a few hundred dollars’ worth of hard currency cash as a fall back. The Euro is the most readily accepted hard currency bit US dollars and to a lesser extent British pounds sterling are also widely recognised. Kigali is equipped with a fair selection of well-stocked (but often quite pricey) western-style supermarkets and malls. Shops in smaller towns are less varied and more poorly stocked, but most everyday goods likely to be required by tourists will be available. A wide range of handicrafts is sold countrywide and there’s great scope for browsing, especially in Kigali. The city’s biggest craft market is the Caplaki handicrafts co-operative, which comprises at least 30 wooden huts and stalls that collectively sell a huge variety of goods - from hand-carvings, weaved items, batik cloth, pottery and the like to semi-precious stones, musical instruments and various novelties. Other Kigali galleries and outlets worth checking out include the Inema Arts Centre, Ivuka Arts, Niyo Cultural Centre, Association des Artistes Rwanda (ASAR), Amahoro ava Hejuru and the Abien Arts Collective. Throughout the city, you’ll also find street vendors selling most kinds of small handicrafts. Other towns that have a good selection of handicraft outlets include Musanze, Rubavu and to a lesser extent Huye and Karongi. The biggest medical threat to visitors to Rwanda is malaria, with the risk of transmission being greatest at lower altitudes and during the rainy season. A variety of oral prophylactics against malaria is available, so before you travel, you should seek up-to-date advice about the most suitable option from a travel clinic or doctor. No prophylactic is completely effective, so try to avoid being bitten by the nocturnal Anopheles mosquitoes that transmits the disease. Cover up in the evening, by wearing a long-sleeved shirt, trousers and socks, and apply a good insect repellent clothes to any exposed flesh. When you retire, sleep under a net, or failing that in an air-conditioned room, under a fan, or with a mosquito coil burning. Malaria usually manifests within two weeks of being bitten, but can take months, so if you display flu-like symptoms after you get home, get to a doctor and ask to be tested immediately. Travellers with young children or who prefer not to take medication might consider visiting a malaria-free safari destinations elsewhere in Africa. If no other assistance is at hand, emergency numbers are 111 for the fire department, 112 for ambulances and medical emergencies, 113 for traffic accidents and 999 for the police. Superior private hospitals in Kigali include the King Faisal Hospital (tel: 0252 588888) and Polyclinique du Plateau (tel: 0252 578767 or 0788 301630. A recommended pharmacy is the Pharmacie Conseil (tel: 0252 572374 or 0788 303655.